Ski Buddies returns to Sun Mountain and the Methow Valley! Sun Mountain and Winthrop offer 130 miles of groomed trails and spectacular flat valley and mountain terrain cross-country skiing at all levels. February is the best month for snow at Winthrop and Okanogan County. This is some of the best cross-country skiing in the country according to X-Country Skier Magazine. Please join trip leader, Paul Horne, and other Ski Buddies the weekend of February 2-4, 2018. We will arrive at Sun Mountain on Friday afternoon and depart Sunday afternoon while staying at the largest groomed Nordic ski area in the PNW in the scenic Methow Valley. This is a huge area with over 60 KM in groomed trails! We are staying in the rustic Lake Patterson Cabins which are ski in/out. 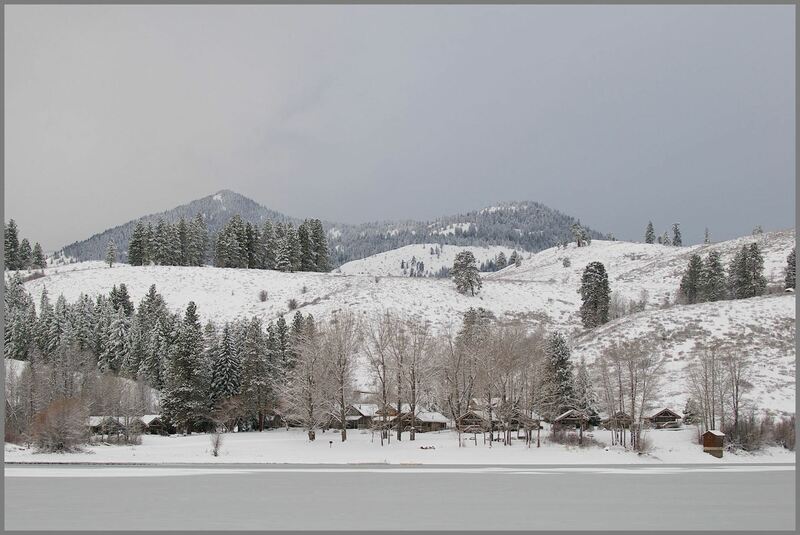 The cabins are located near the main lodge with all the other amenities available for our use. Paul will provide dinner on Friday evening. Breakfasts will also be provided on Saturday and Sunday. Cost for both nights is $260 per single bed or $520 queen bed (one or two people). Space is limited to four queens and four single beds. If we have a lot of interest, we may be able to secure another unit. For Saturday night, Paul suggests a VERY FUN Sleigh Ride & Cowboy dinner. Paul reports that he's done it previously and it's a fun and cool evening. The Clydesdale drawn large sleigh departs the main lodge Saturday evening at 5pm sharp. The brief ride takes us to the top of a hill overlooking the valley and to a large cozy tent. Inside awaits a buffet style cowboy dinner served by friendly locals. The cost is $54 per person - great value and entertainment. Paul has reserved six spots so let Paul know ASAP if you plan to attend the Saturday evening dinner. Payment for this must be made either in advance or by 10am on Saturday at the activities office near ski shop in the main lodge. For those going on this trip, Paul recommends taking Friday off as the drive from Seattle to Winthrop is a minimum 6 hours drive via Ellensburg in ideal weather . You can NOT get there in winter via SR20 through Cascades National Park. Like all Ski Buddies trips, the first ones to pay in full are on the trip. Don't delay booking as this trip will sell out quickly.